Best hole? I really liked the 18th. It’s a short par 4 with a tree in the middle of the fairway, which makes for a tricky drive, but the second shot is even trickier. The green is down the slope and is well protected by a couple of bunkers. The best way to come in is to float a ball above the bunkers and land it softly on the green so it catches the slope towards the pin. That was too risky as my ball was lying on a bare bit, so I aimed right of the bunkers, hoping my ball would bounce down towards the green. It didn’t. Still got a par thanks to a very good chip. Après golf? A very good eggs royale before and a soft drink after with our friends on the lovely terrace in the sunshine. Very peaceful, so nice to be away from noisy roads. Nice round? Good, solid golf and a proper catch up with my friends Hsien and Judith from Cuckfield GC. My meeting Judith is the subject of an ongoing controversy: I’m convinced I met her when I trounced her in a match on her own course, but her memory is clearly going a bit as she insists I never beat her and we met at an Open. Anyway, they’re both great fun and we always have a brilliant time together. Special memory? The wildlife: a hairy deer scampering across the fairway, a huge heron gliding above us and loads of friendly fishes coming up to say hello when we walked past one of the ponds. Must play again? Yes. It’s a varied, friendly course in gorgeous countryside. Oh and the Lady Captain came to chat to us, which added to the pleasantness of it all. 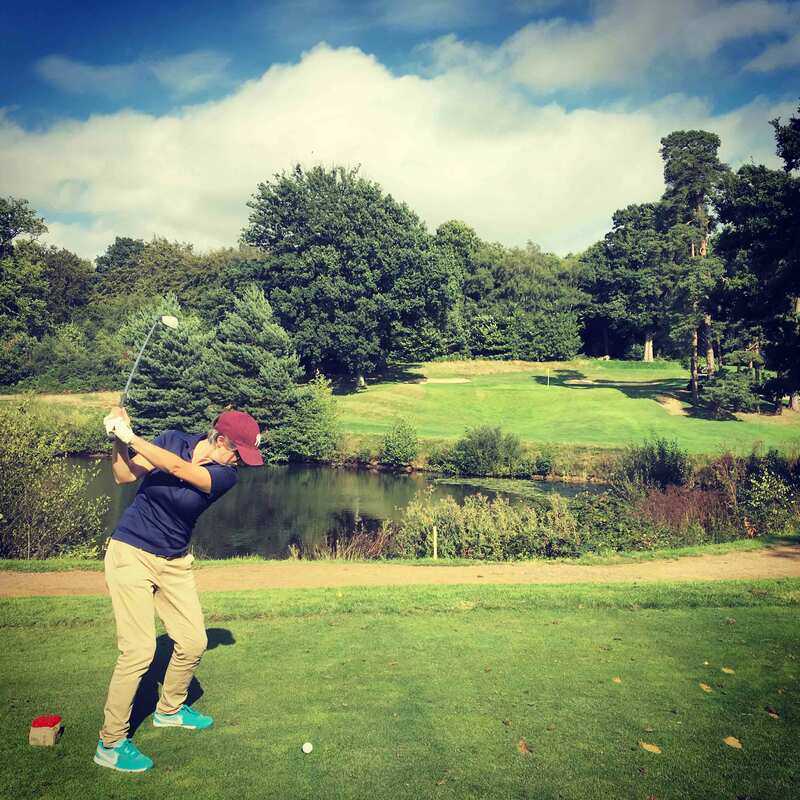 The diary of an amateur golfer who is no longer Lady Captain of Brighton & Hove Golf Club.